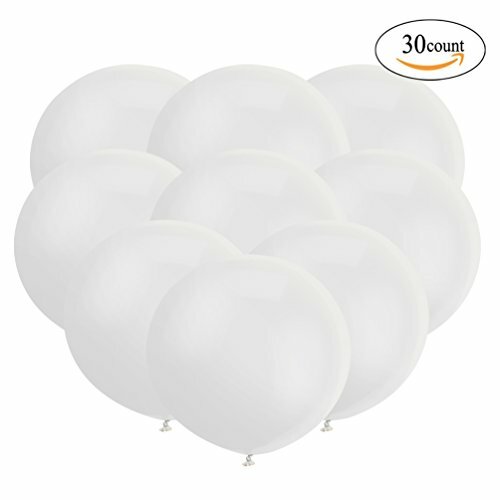 These are large balloons, 18 inch, made with premium quality latex, very good value. These could be filled with helium. These suit for every scene in any way: in festival, for party decorations, birthday, wedding decorations, opening ceremony, etc. Latex balloons should try to avoid sharp objects. Dirty ground, direct sun radiation and excessive squeeze would easily break it. Contact us if you have any questions, we are always ready to provide any assistance for you. ✔️ AMAZING BIG SIZE: Inflated diameter is about 18", uninflated length:7.48"
If you have any questions about this product by GuassLee, contact us by completing and submitting the form below. If you are looking for a specif part number, please include it with your message.